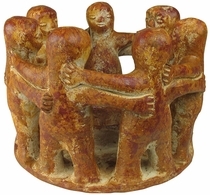 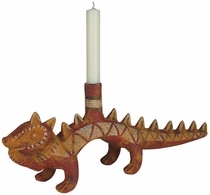 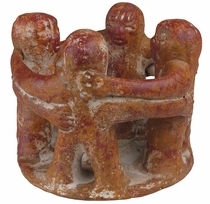 Our Pre-Columbian clay figures and animal candle holders bring the spiritual tradition and native artforms of the Aztec and Mayan to your home. 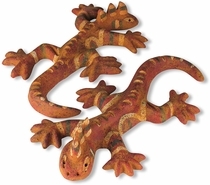 Each of our pre-Columbian decor accents is hand molded and painted by the talented artisans of Mexico to look as authentic as an original pre-Columbian artifact. 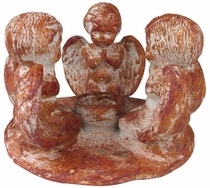 Your order will be carefully packed for shipping to ensure it arrives to you safely. 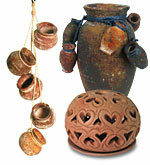 Be sure to check out our Aged Clay Pottery and Terra Cotta Home Accents. 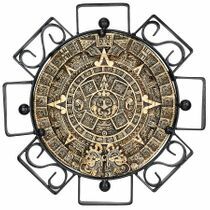 Aztec Sun Plaque with Iron Frame - 18" Dia.